It’s time for Brag Monday #190! 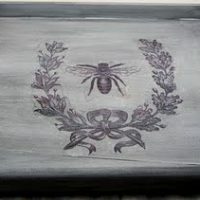 Once again I’m bragging about two more projects from the last Brag Monday party. I have a little request for all the participants. 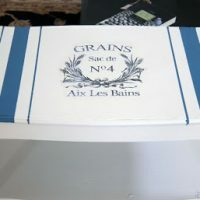 If you could please use thegraphicsfairy.com when linking back to my party, instead of my old blogspot address, I would be sooo very grateful! 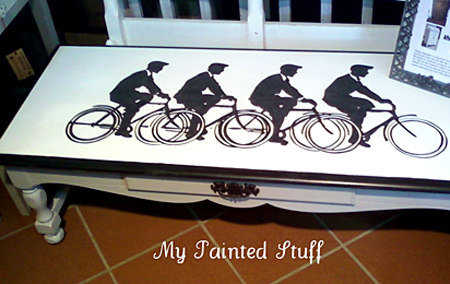 This weeks DIY pick is: This Cycling Painted Coffee Table created by Dee from My Painted Stuff! Dee used the Men on Bicycles Silhouette Vector, for this wonderful table project! Be sure and check out her blog to see more photos and get the full step by step tutorial! 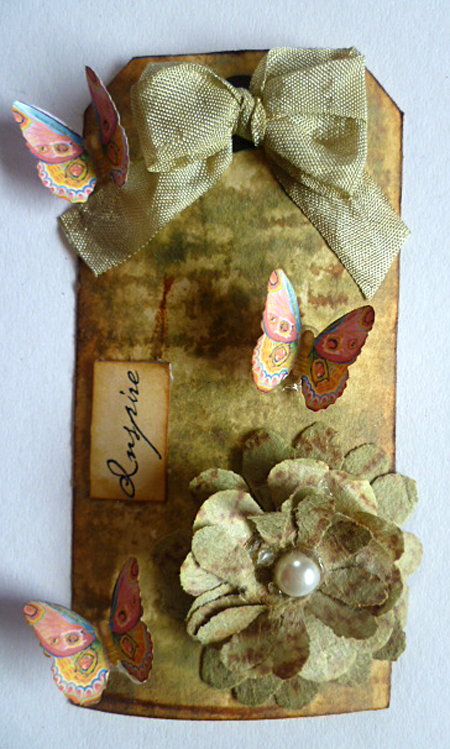 This weeks Handmade Craft pick is: This lovely Butterfly Tag created by Mrs. Beez! She used the Colorful Moth Image, for this super pretty paper project. So lovely! 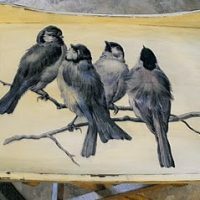 Be sure and check out her post to see more lovely photos of this, and read about the techniques she used too! You’re welcome Dee! That table is fabulous!! Gorgeous picks for Brag Monday! How cute is that table! Great pick! Super cute and maybe not something the other requester wanted, but it looked like it belonged here as well.